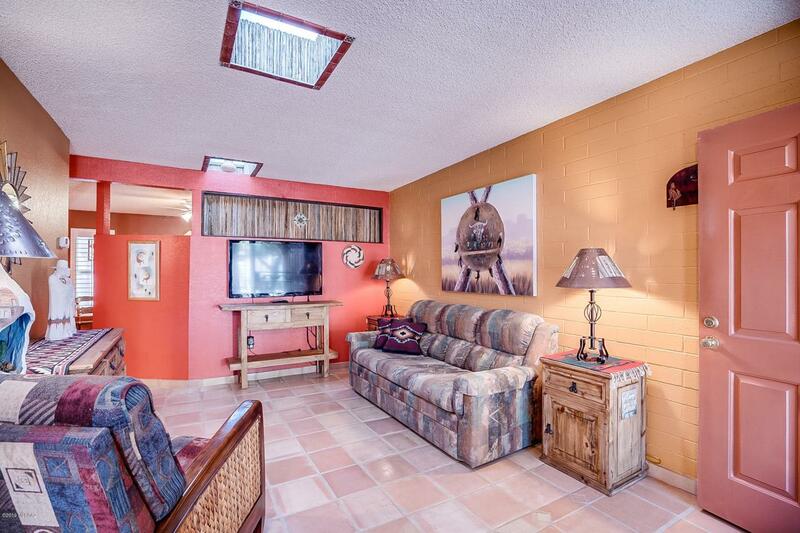 Colorful and compact, this updated resort home gives you an exquisite vacation getaway or a perfect way to simplify your lifestyle. 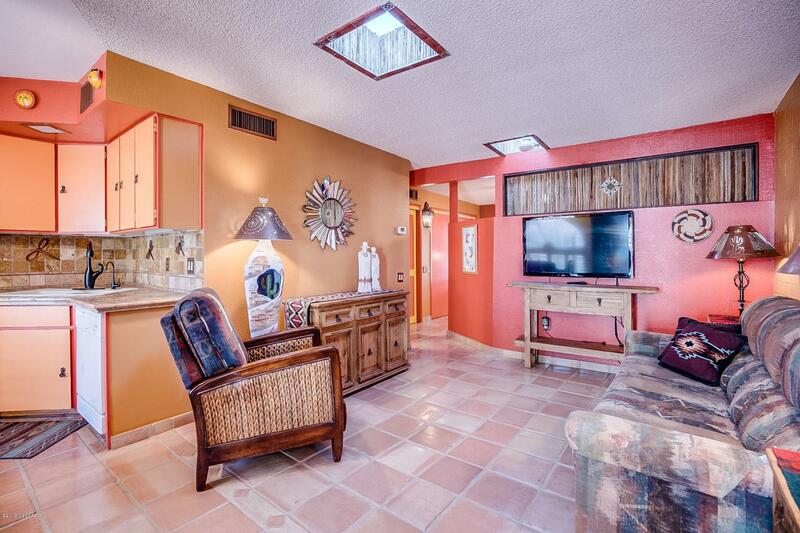 Enter into a living room with authentic Spanish floor tile and vivid Southwest paint colors. The efficient kitchen has custom tile counter tops with fully tiled backsplash, drop in stove, full size fridge and sink with designer single handle faucet. 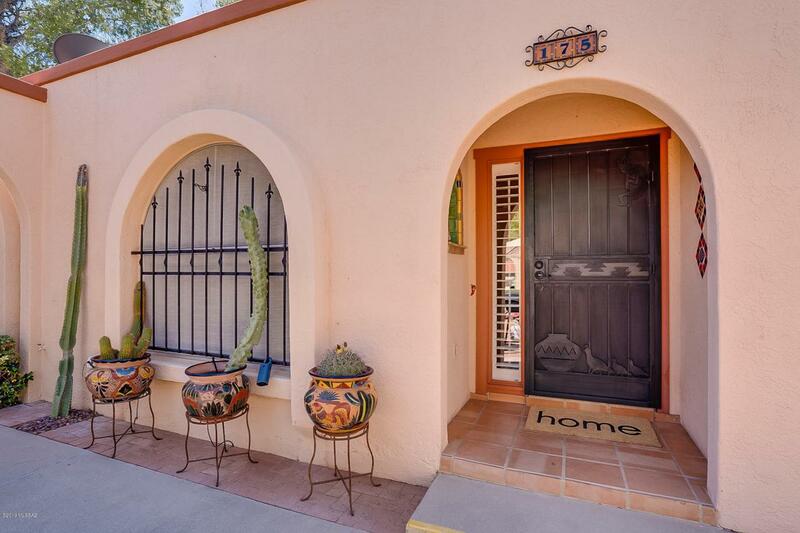 The custom features continue into your spacious bedroom suite with its decorative Saguaro ribs and the cozy bath featuring a custom tiled shower and a Spanish basin vanity and mirror. Enjoy the common area amenities where you can enjoy an open-air lunch or sit on one of the many stone benches while relaxing under a shady tree. 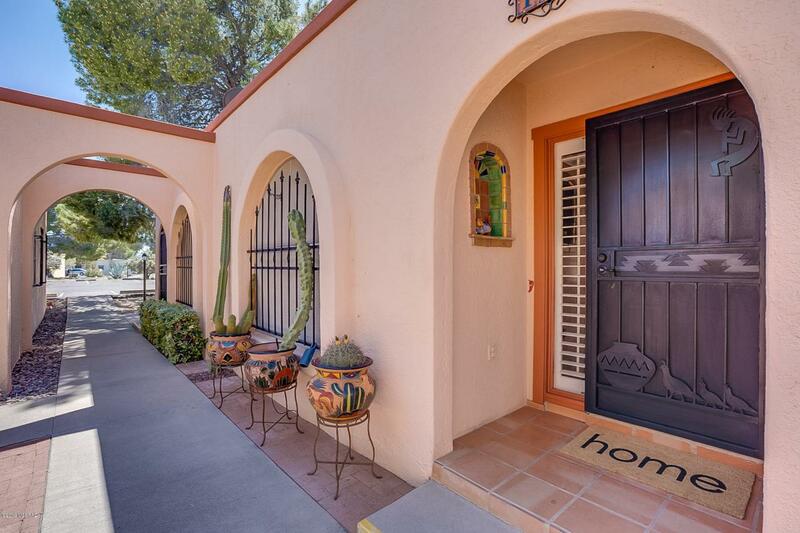 Located within walking distance of shopping, a grocery store, and just a blockaway from the community pool. This resort home is a must see!